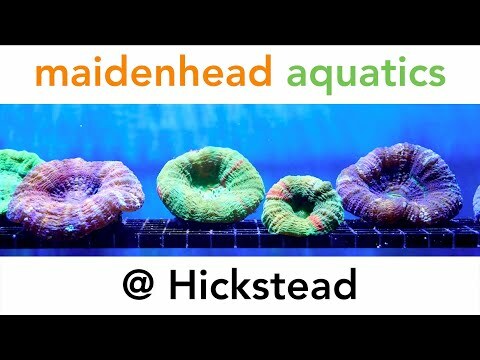 Maidenhead Aquatics at Hickstead is a well-established store whose enthusiastic staff have years of fishkeeping experience, so they're always happy to help with anything from setting up your first goldfish tank through to queries from advanced marine fish keepers. There are two large tropical display tanks in the store and they combine to provide inspiration to any new fishkeepers. We also offer a large selection of associated goods for both the aquarium and pond.